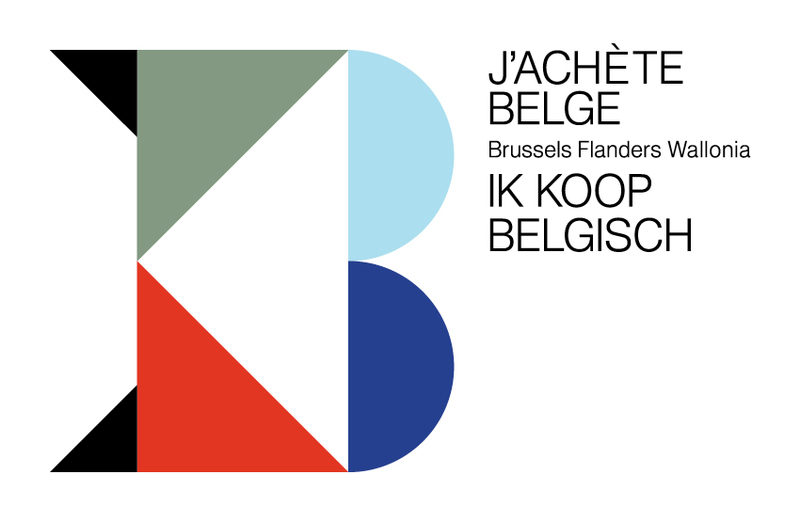 Logo design for the belgian campaign 'Ik Koop Belgisch / J'Achète Belge' (I Buy Belgian), launched by Flanders DC in collaboration with MAD, WBDM and Creamoda. 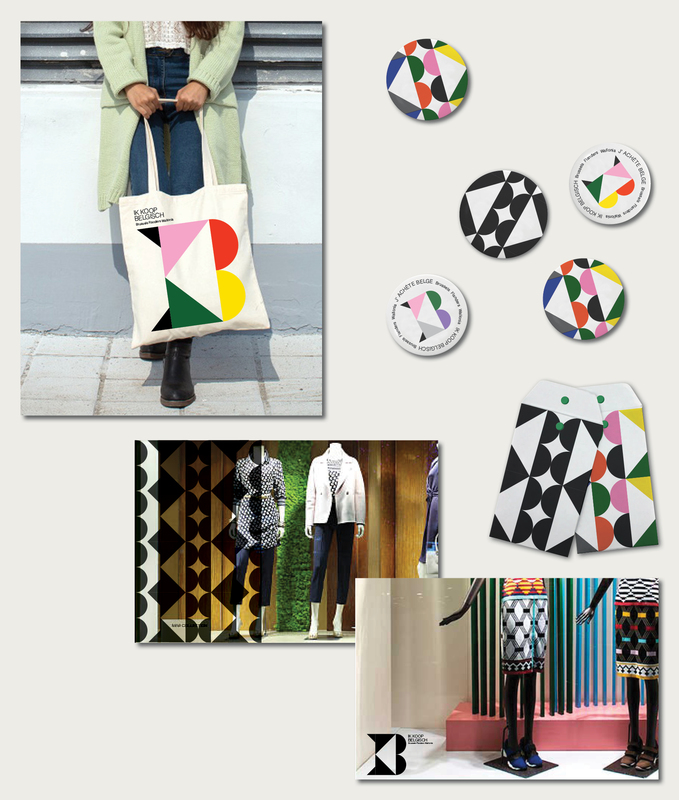 The aim of the campaign is to promote Belgian brands in the design and fashion industry. 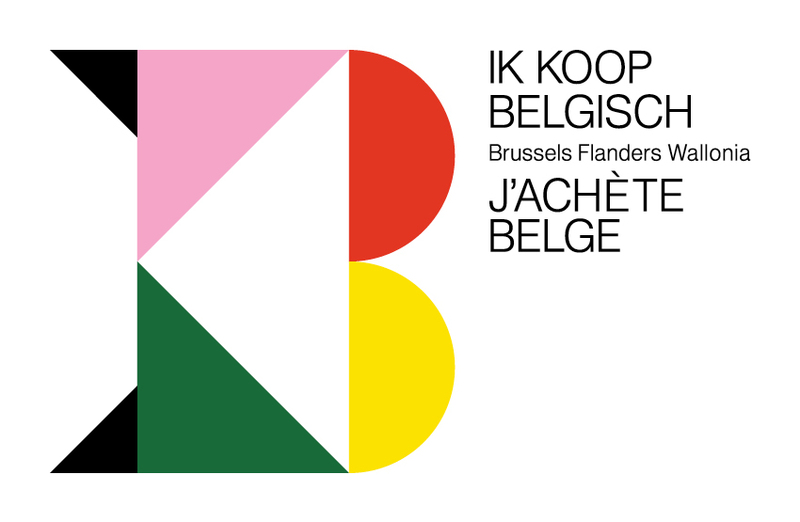 Since 2015, Flanders DC puts local talent in the spotlight by using their 'I Buy Belgian' campaign, which are known from window stickers and the hashtag #ikkoopbelgisch. 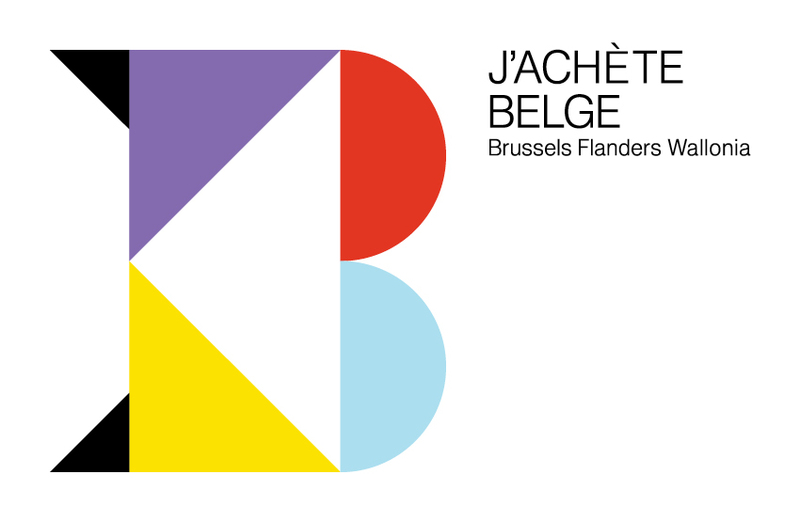 Since this year, the French variation "J'Achète Belge" (#jachetebelge) is added by which the campaign goes national. 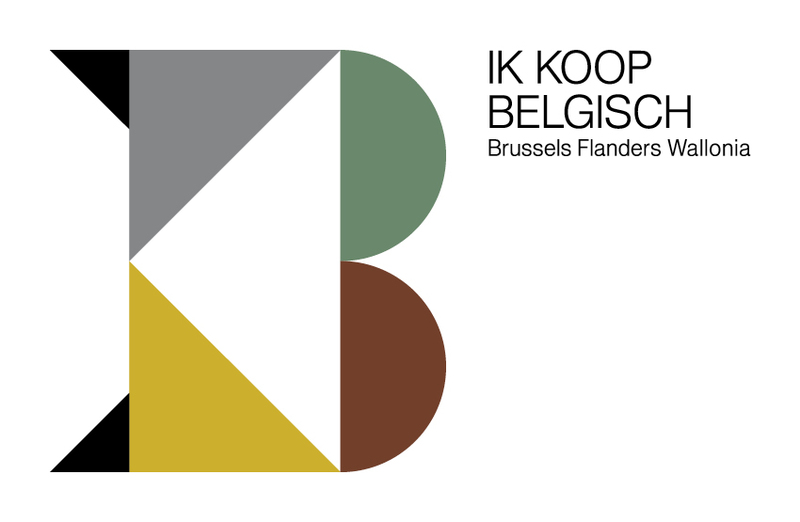 For this Flanders DC commissioned a new logo design which would cover both languages and which could be used across various platforms. Bureau Grusenmeyer designed a geometric logo reminiscent of block play. The geometeric blocks can be put in various colour combinations by which the logo can adapt to various circumstances. 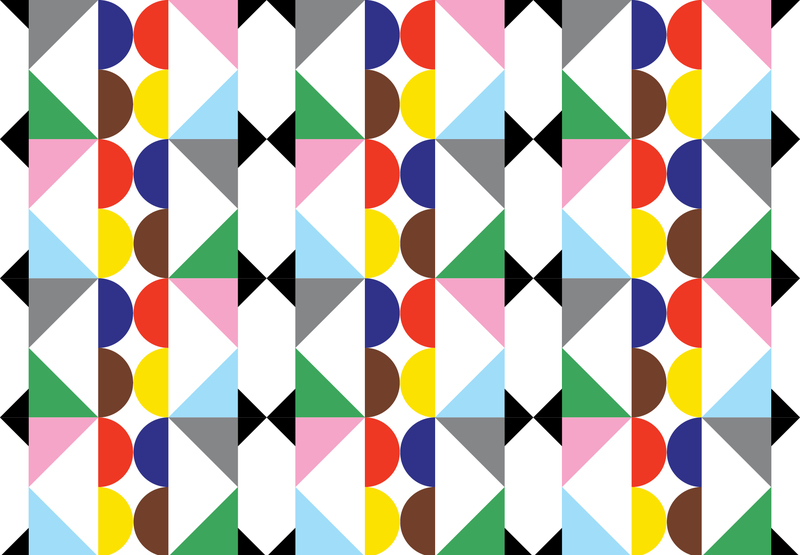 By multiplying the logo a pattern is formed made which again can be used for various outputs.